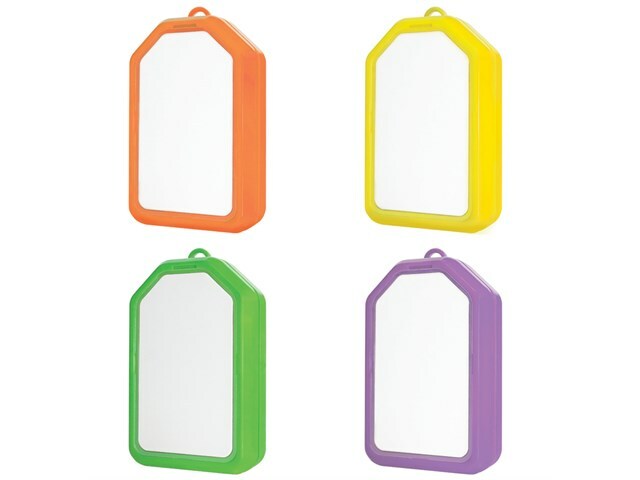 A simple device, Rainbow Recorders record up to 1 minute of sound, have a write and wipe surface, a magnetic face and base and can be personalised with a photo. 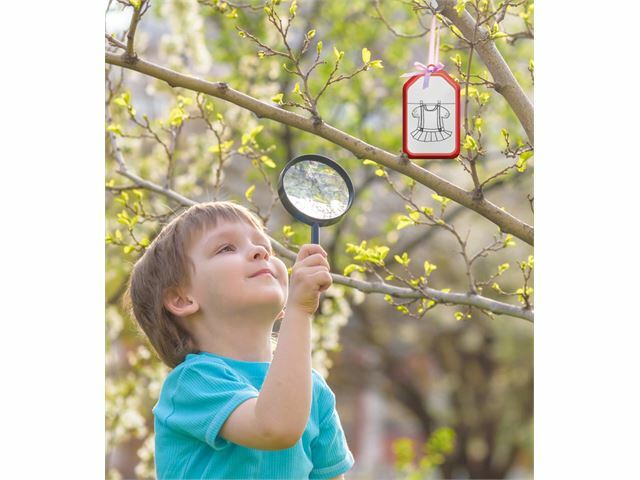 Available to pre-order for delivery in April 2019. 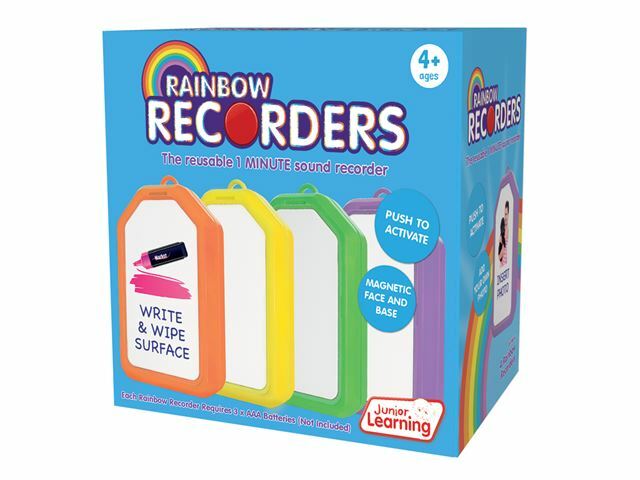 Have fun creating games while learning a variety of speaking and listening skills; use the Rainbow Recorder to write down or record reminders, play quizzes or treasure hunts. 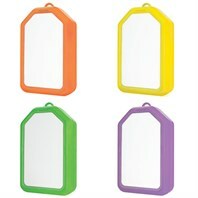 Available as a single red recorder or as a pack of four which includes an orange, yellow, green and purple recorder. 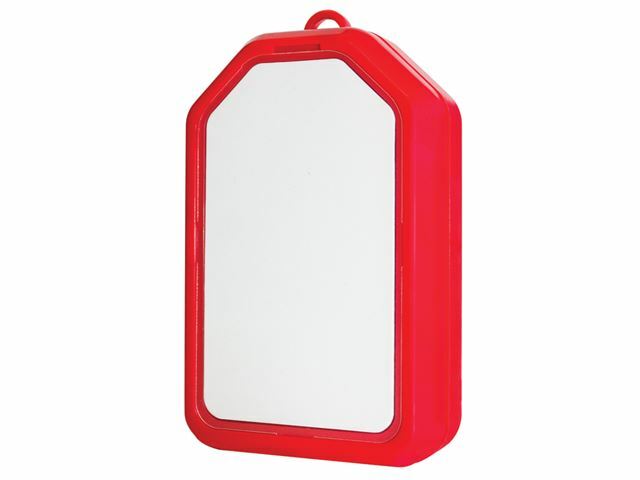 Dimensions: 16.4cm x 18.6cm x 3cm. 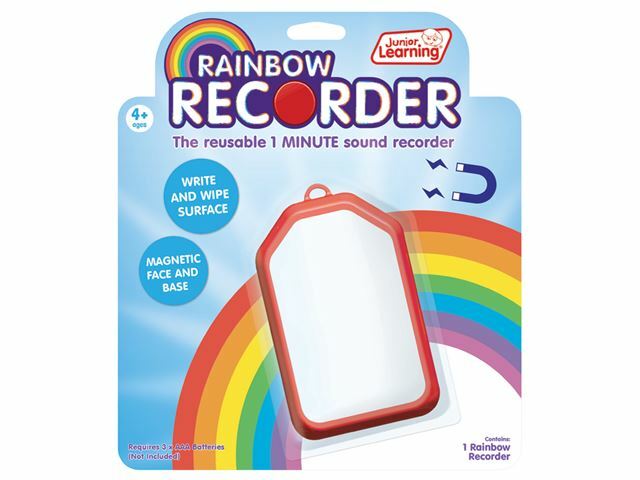 3 x AAA batteries included per Rainbow Recorder. Available to pre-order for delivery in February 2019.